Product Description: This portable USB 1.44 MB floppy disk drive is ideal for a laptop or a desktop that is missing a floppy drive. 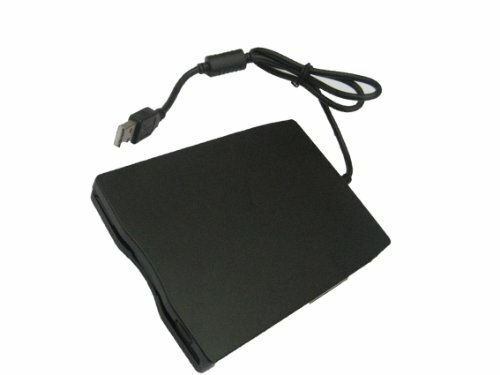 This portable floppy drive features a USB interface with a 1.5-foot cable and an attractive black profile. Take your floppy drive with you anywhere. *Brand New *Read/Write 1.44 MB floppy disk *Eject button *USB interface. USB 1.1/2.0 compatible *OS Compatible: Windows ME/2000/XP/Vista/Win 7 *Ideal for Desktop, Laptop and mobile users *Get power directly from USB port, no more external power needed *High quality hard plastic enclosure, durable and very nice looking *Light weight, easy to carry anywhere and use anywhere package contents: 1 x External USB Portable 1.44 MB Floppy Disk Drive 1 x User Guide This item is 100% Brand New. Never used. It comes with 3 Months Warranty by Seller.